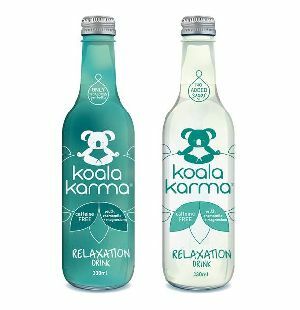 Koala Karma relaxation drink is a slightly carbonated beverage with two product lines; Koala Karma original and Koala Karma sugar free. These are infused with chamomile, magnesium, passion flower, and lemon balm. 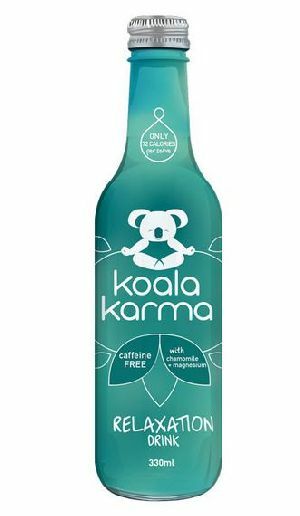 This formulation is unique only to the Koala Karma beverage. 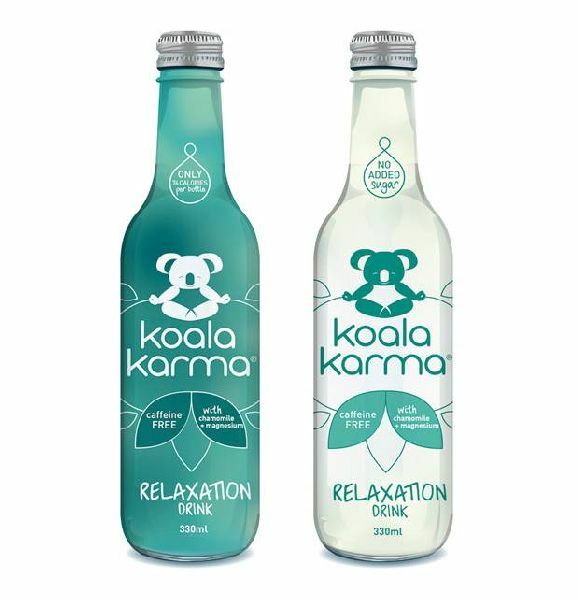 Koala Karma is Australian made and combines a lasting effect of a calm mind and relaxed body to support the post consumption of energy products. Ideal for that long deep restful sleep, long plane flight or whenever you are feeling overwhelmed or stressed. 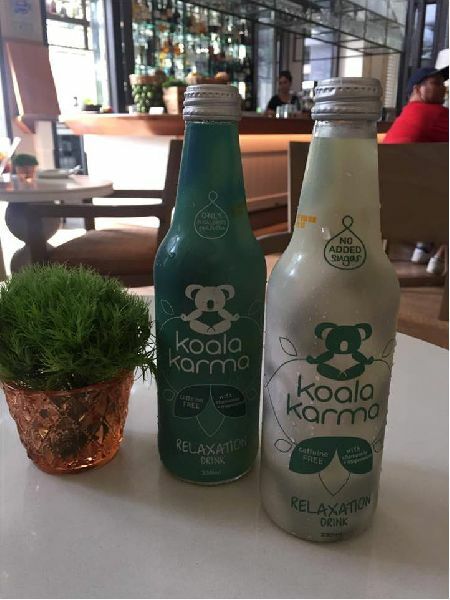 When the need for energy is not your highest priority, and you yearn for a product that provides a calm mind and relaxed body, turn to Koala Karma relaxation beverage to tail off your busy day. 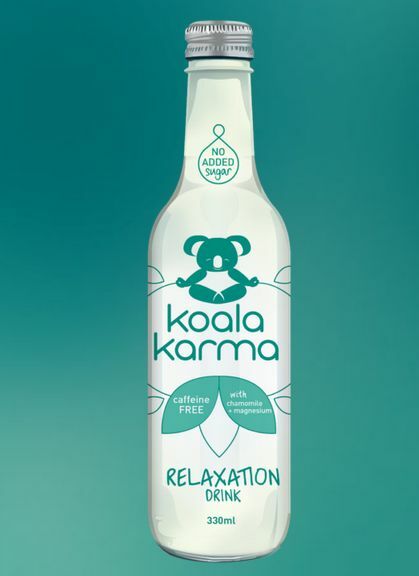 What makes Koala Karma a relaxation drink? Chamomile Powder : Chamomile has a very impressive list of beneficial properties. It is reported to have anti-oxidant properties and helps relieve mild anxiousness . Magnesium : Magnesium is important for over 300 biochemical reactions in the body. It keeps normal muscle and nerve function, maintains and stabilizes heart rhythm, and helps to strengthen bones. Passionflower Extract : Passionflower or Passion Flower (Passiflora incamata) is a plant native to North America, found mostly in the Midwest and Southeast. Passionflower is reported to have anti-anxiety and aphrodisiac properties. This herb is reported to be helpful for some people in reducing restlessness, anxiety, and nervousness. Lemon Balm Extract : Lemon balm has been used medicinally for centuries to; address restlessness and reduce anxiety and promote a sense of calm. It is widely known for its ability to promote sleep. Valerian Extract Powder : Valeriana officinalisis originates from Europe and Asia and has been used as traditional medicine for several generations. These herbs including others like passionflower, ginseng and hops have found to be interrelated with the mind and mood of a person . In particular, valerian roots are known for their calming and relaxation effects. Looking for Koala Karma Relaxation Drink?